The city is partnering with the Alley Theater for the first-ever Latino Theater Festival. 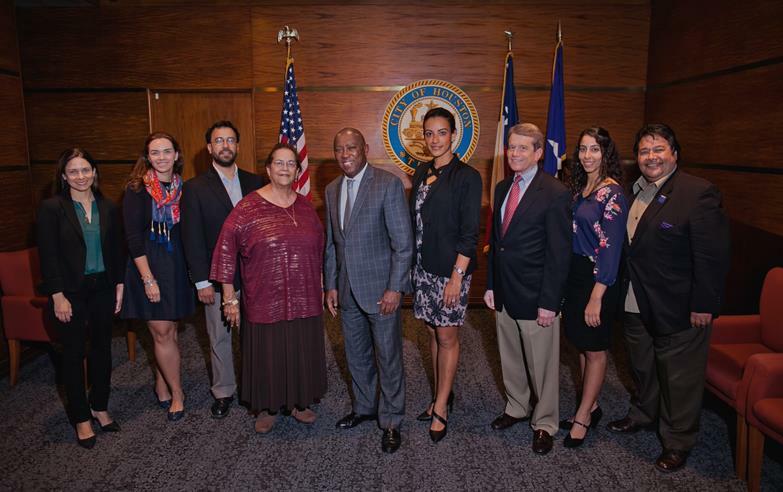 Representatives of the project partners, pictured left to right, are Karen Farber (Cynthia Woods Mitchell Center for the Arts), Pilar Florez (VisitHouston), Estevan Azcona (Multicultural Education and Counseling through the Arts), Alice Valdez (Multicultural Education and Counseling through the Arts), Mayor Sylvester Turner, Isy Gabriela Conde (Neighborhood Centers Inc.), Dean Gladden (Alley Theatre), Shayna Schlosberg (Alley Theatre), Javier Perez (Talento Bilingue de Houston). Scene from “Misa Fronteriza,” the play to be featured in Houston’s first-ever Latino Theater Festival in 2018. When Houston City Council approved the Arts and Cultural Plan a year ago, one of the goals was to reach out to communities seen as underrepresented in the arts. “Reflecting the city’s cultural diversity is something that came up over and over during the cultural planning process and is really a theme throughout the plan,” says Debbie McNulty, Director of the Mayor’s Office of Cultural Affairs. Mayor Turner has approved $50,000 in city funds to create the new Latino Theater Festival, which was an idea proposed by the Alley Theatre. In addition to the money from the city, the Alley hopes to get an additional $100,000 through a Creative Placemaking grant from the National Endowment for the Arts. 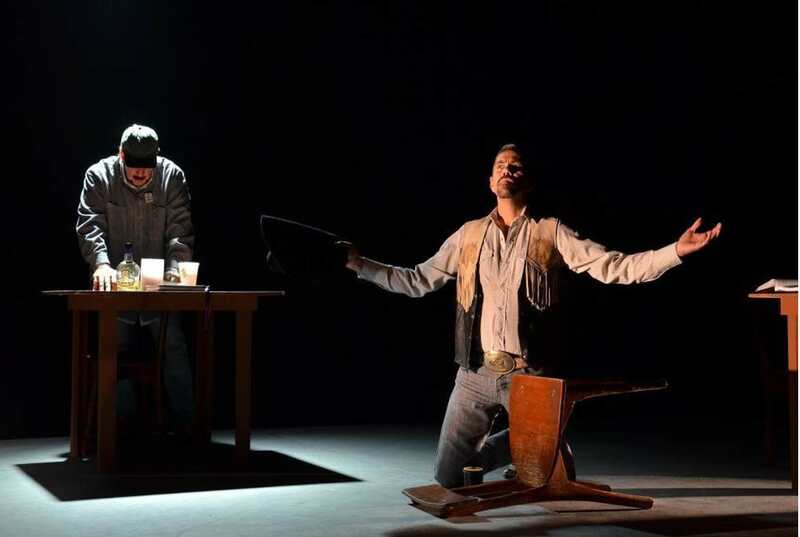 The featured play is Misa Fronteriza, described as a satirical comedy about life near the US-Mexico border. The Alley’s Associate General Manager Shayna Schlosberg says she and Managing Director Dean Gladden discovered it at a Latino Theater Festival in Colombia. “The story is very relevant to Houston audiences so we thought: ‘This is absolutely a piece that we should bring,’” Schlosberg says. The play is in Spanish but will include English translation through headsets. Through a partnership with a few community centers, it’ll be staged in some of Houston’s predominantly Latino neighborhoods. The Latino Theater Festival is set to launch in the spring of 2018 once the remainder of the funding is secured.